Typically recognized as an occupational hazard that goes with the territory, singers often report experiencing hoarseness, laryngitis and even damaged and strained vocal chords. These performers are not alone. All the more reason to take care of your voice, something ENT physicians and allied health professionals often warn about. With this in mind, World Voice Day, observed April 16, was created to raise awareness about vocal health. But as you know, there is always more to the story. WVD 2019 events are scheduled around the world, including a free concert and reception at 7pm hosted by The Voice Foundation and The Philadelphia Girls Choir, with conductor Laura Harmon, tenor Michael Ashby, sopranos Maria Jabbour, Maria Russo, Lisa Wilson and baritone Daniel Pantano. Meanwhile, everyone can mark the occasion by using #WorldVoiceDay with related content on social media. You have noticed a quality change in the voice such as raspiness, roughness or pitch changes. You repeatedly find yourself clearing your throat. You find that you have lost your ability to hit some high notes when singing. Drink plenty of water. Hydration helps to lubricate your vocal cords. Try not to scream or yell. These practices put great strain on the lining of your vocal cords. Warm up your voice before heavy use. Exercises can be simple, such as gently gliding from low to high tones on different vowel sounds, doing lip trills (like the motorboat sound that kids make), or tongue trills. Don’t smoke. In addition to being a potent risk factor for laryngeal (voice box) cancer, smoking also causes inflammation and polyps of the vocal cords. Listen to your voice. When your voice is complaining to you, listen to it. Know that you need to modify and decrease your voice use if you become hoarse in order to allow your vocal cords to recover. 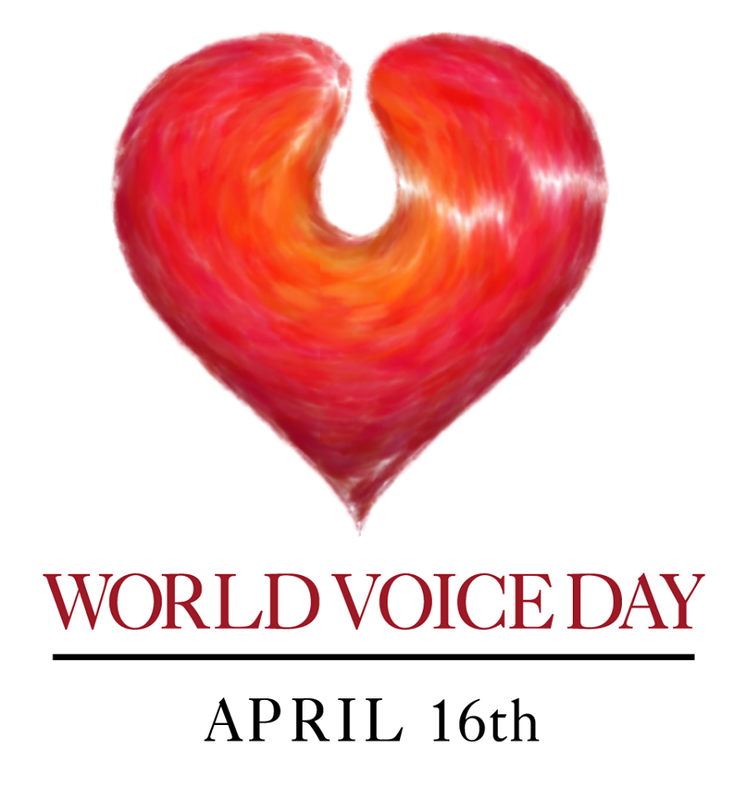 For more information please visit world-voice-day.org, The Voice Foundation and The American Academy of Otolaryngology-Head and Neck Surgery Foundation.